As a junior art history major, the recent Loyola Phoenix article titled “LUMA Could See Changes for the 2019-2020 Academic Year” greatly upset me. The article mentions Loyola’s administration saying “not many students use the space,” when many students and faculty take advantage of LUMA every day. I would like to enlighten the administration on what LUMA means to us, the students, and why this museum is an invaluable resource for Loyola. LUMA’s mission statement reads the museum is “dedicated to exploring, promoting and understanding art and artistic expression that illuminates the enduring spiritual questions of all cultures and societies”. 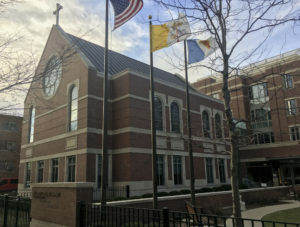 This directly supports Loyola’s mission of educating the whole person through a liberal arts education. LUMA displays diverse artistic media from many cultures and time periods, which promotes cross-cultural understanding and acceptance. Additionally, the museum’s permanent collection — the D’Arcy — strengthens Loyola’s Jesuit identity because of its emphasis on religious identity and spirituality. Students from many departments, such as fine arts, anthropology and history, utilize LUMA every day. The museum regularly hosts class tours in the temporary exhibition and permanent collection galleries; students not only engage in conversation about the art, but also about the social justice and religious themes presented. Moreover, LUMA provides invaluable paid experiences to students from any department who wish to work there. Student interns learn about the daily operations of a museum and help with curating, installation and writing wall texts — tasks that a larger museum or institution would never allow undergraduate interns to do. Most importantly, LUMA pays all student workers, making it an accessible space for students of any financial background. LUMA’s significance reaches far beyond the Loyola community. The museum welcomes visitors from other Chicago-based schools and organizations, which exposes Loyola to Chicagoans across the city. LUMA’s openings attract large crowds and positive press; the Chicago Tribune and the Chicago Sun-Times both praised “Folded Map,” last spring’s temporary exhibition. The D’Arcy collection in LUMA’s permanent galleries is one of the most outstanding collections of Medieval and Baroque art in the Midwest. LUMA frequently loans objects from the D’Arcy to museums worldwide to display in its temporary exhibitions; currently, the Metropolitan Museum of Art in New York City is displaying an artwork from LUMA. This spreads Loyola’s name and reputation to diverse and international audiences. The D’Arcy collection has been doing this for years, since artworks from the collection appear in international lectures, exhibitions, peer-reviewed journals and art catalogs. In 2016, the Loyola administration asked faculty and administrators to draft a plan to place LUMA under the jurisdiction of the College of Arts and Sciences. University employees worked tirelessly to finalize this plan, only to present it to administration and have it completely ignored; Loyola never did anything with this important information. In fact, since the former curator of the D’Arcy collection Jonathan Canning left the museum three years ago. Loyola has neglected to fill his position, intentionally letting the museum suffer — especially since LUMA currently has no director — a crucial role in any museum. Although attendance is increasing, Loyola chooses to ignore the potential of LUMA. 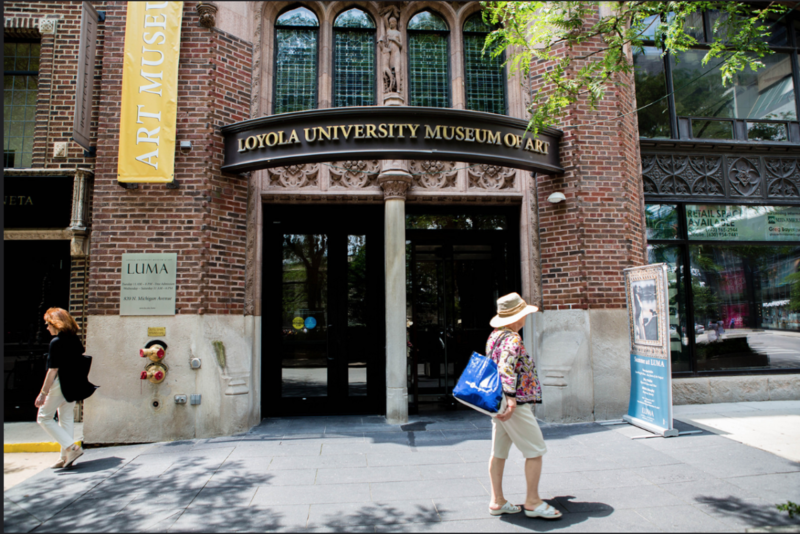 Other major universities in Chicago have fantastic museums, but because of a lack of support, Loyola can’t say the same. Within the next few years, the American Alliance of Museums will review LUMA’s accreditation, or formal recognition that the museum meets certain expectations. These expectations include the museum’s ability to achieve their mission and goals and to meet certain standards for performance and practice. With no accreditation, a museum automatically loses credibility, value and, most importantly, the ability to apply for grants. Without a director, a board of trustees or museum professionals, LUMA will absolutely lose its accreditation. Allowing this to happen is completely irresponsible and reflects very poorly on Loyola. In order to keep this invaluable accreditation distinction, Loyola must step up and execute big changes at LUMA. Loyola’s inaction hasn’t gone unnoticed by the student body, and we demand that changes be made for the sake of the museum’s collection and the Loyola and Chicago community at large. Students do care, and we plan to show it.